In Facebook’s never-ending quest to get you to stay on its site even longer, the site has rolled out a new feature for music services on the social networking site. Now, when those music statuses appear on your newsfeed, clicking on their name will pop up a window with a button to “Listen With” that friend. Making it even more fun, you’ll start the music at the exact same point, essentially allowing your friend to play DJ. The listen feature will works in both individual and group settings. 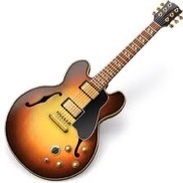 Those friends listening to music will show a music note beside their name. Initially Spotify, Mog, and Rdio are supported, although Facebook says other services are on their way. If Spotify proved one thing with its U.S. launch, it’s that people will go nuts for free music. So now MOG, one of my favorite paid streaming music services, is getting a free version of its own. Like Spotify, MOG lets you listen to any song or album you want from a library of about 11 million tracks. But unlike Spotify, MOG’s free service isn’t strictly time-limited. (Spotify users get six months of unrestricted listening, followed by 10 hours per month and five plays per track.) Instead, MOG uses a game-like system that rewards certain actions with more free listening. Refer some friends, get some free time. Recommend a playlist, get more free time. Click on an ad, get more free time. The Turntable.fm bug hit me hard about a month ago. Suddenly I was wasting hours DJing alongside my friends, hoarding points to upgrade my avatar and building a big database of cool music that I’d never heard before. All the while, my friends and I asked the same question: Where’s the Turntable.fm smartphone app? That’s great news, but it also makes me wonder whether the free ride on this very cool music service is coming to an end. Few musical acts have the power to excite tech enthusiasts like They Might Be Giants. The band’s attention to detail, appreciation for humor, and perennial refusal to follow the status quo strongly resonate with nerd-folk (think: engineers, programmers) who rely on minutiae and unconventional thinking to do their jobs. Their unique approach has earned the band two Grammy awards (and three nominations) in the last 10 years for work with Malcolm in the Middle and a string of well-received children’s albums. Of course, with 15 studio albums under their belt, they aren’t exclusively an act for kids. While perhaps best known in the adult world for the 1990 album Flood, it’s impossible to choose a single TMBG record that represents such a large and diverse body of work. At the core of TMBG is a 29-year partnership between two good friends: John Linnell, 52, and John Flansburgh, 51, who function like two halves of the same brain. Flansburgh delivers culturally-reflective philosophical works in broad strokes, while Linnell often sings through the character of an insecure, paranoid introvert that explores subjects in elaborate detail. TMBG are known for their eager adoption of technology in creating and marketing their music. The group first relied on an electronic drum machine before adopting a full live band, then adopted computer sequencing in production work. In the mid-1990s, TMBG quickly set up a strong presence on the nascent Web, and they crowned that era by releasing the first full-length MP3-only album in 1999. To this day, they continue their high-tech track record by embracing online distribution, email newsletters, and podcasting as a way to reach out to fans in the post-label era. As a student of computer and video game history, I often interview people who helped to make the information technology industry what it is today. But I think it’s also important from a historical perspective to explore the impact of technology on the rest of the world. That’s why I asked John Linnell to recall his earliest experiences with such machines and to reflect on how computers have impacted his profession. In early May of this year, Linnell and I spoke at length over the phone about these subjects while also touching on his fruitful partnership with Flansburgh and how it has ensured the continued success of their band. I was a frequent Tower Records shopper until that chain collapsed, and it’s only been gone since 2006. I went to the Virgin Megastores in San Francisco and New York pretty often, too, and they closed in 2009. That doesn’t seem that long ago. But at the moment, I’m in San Diego for Qualcomm’s Uplinq conference, and when I saw a Sam Goody music store in the same complex as my hotel, I wandered in–and boy, did what I found feel like something from another era. Until I came across it, I wasn’t sure whether Sam Goody (which was founded in New York City in the 1950s by Samuel Gutowitz) still existed. Apparently, even Sam Goody is uncertain whether Sam Goody still exists: Wikipedia (which refers to the chain in the past tense) says it’s owned by Trans World Entertainment, which also owns FYE, the last bastion of big-time shopping-mall music stores. But the company apparently converted most of the remaining Goody stores into FYEs in 2008 and doesn’t even mention the chain on its corporate site. There is no such place as SamGoody.com anymore, either. The Goody store is a close cousin of the Tower Records and Virgin Megastores I’d once found worth my time, but I’d almost forgotten what they were like, and had to reacclimate myself to the whole concept of a great big retailer dealing primarily in discs with things recorded on them. As I toured the place, I took fuzzy photos with my iPhone. Way back in March of 2010, nifty Internet radio service Slacker began demoing features for on-demand listening, putting it more squarely in competition with Rhapsody, Napster, and other all-you-can-eat subscription services. Today, it’s finally launching the service. It’s available in its browser-based version and iPhone/iPod Touch, Android, and BlackBerry versions–and also in a new iPad version. While many of us Google I/O attendees were unsurprised by yesterday’s announcement that Google was launching its own cloud-based music service, we were excited to learn that every one of us would be getting a priority invite to the service. As a big music nerd, I was excited to give it a test spin. Can Google do music? Read on to find out. Music Beta lets you upload your personal music collection to the cloud for streaming to your computer and other Android devices. Sound kind of familiar? 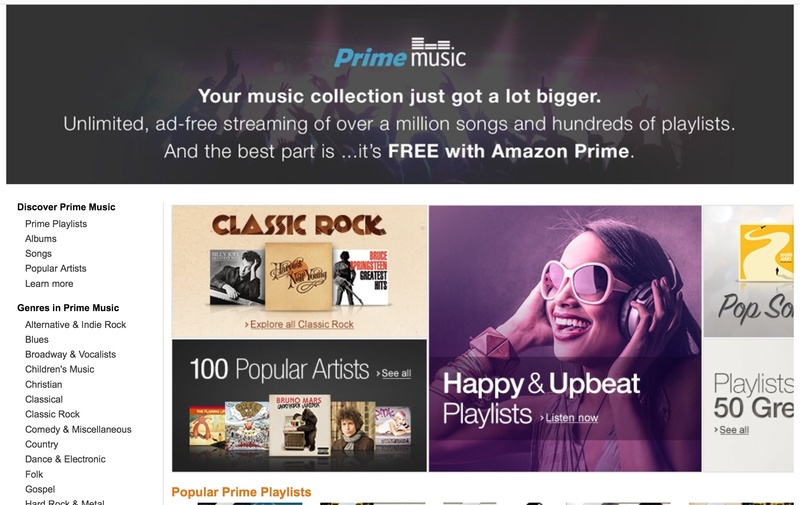 You might recall that Amazon also rolled out a music player this year, Cloud Player. But unlike Amazon’s service, Google’s Music Beta does not sell music. So what’s the appeal? It’s simple and if you do everything through your Google account anyway, you might as well add music management to the mix. Furthermore, Android has always had a miserable music organization system so Music Beta is definitely a welcome addition to the platform.